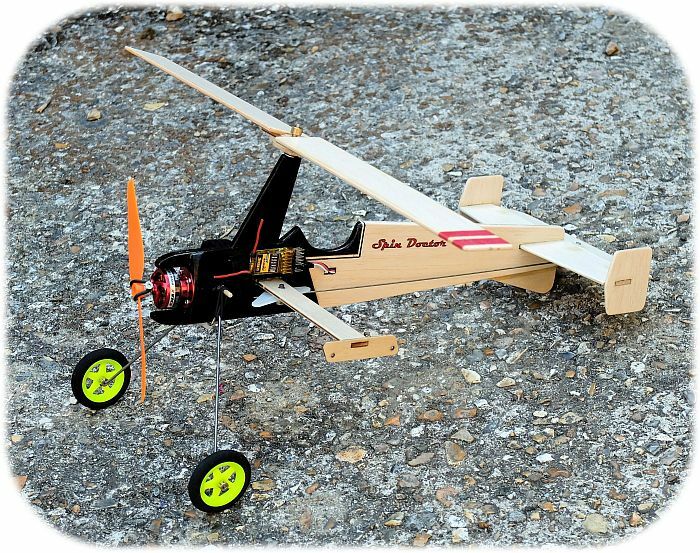 Spin Doctor is a simple to build Electric CL Autogyro with a rotor diameter of 18 inches available from Dens Model Supplies….it is not suitable for a complete beginner……but if you have mastered straight and level CL flight and already built a balsa model or two you will be fine. Spin Doctor can be flown with a timer or better still a small Rx…..then very slow flying speeds at high attack angles can be achieved by careful use of throttle control……..either way you are guaranteed to have some fun! Fixings, Velcro, strip and assorted other balsa and hardwood parts. The kit contains enough parts to build two rotors….just in case!